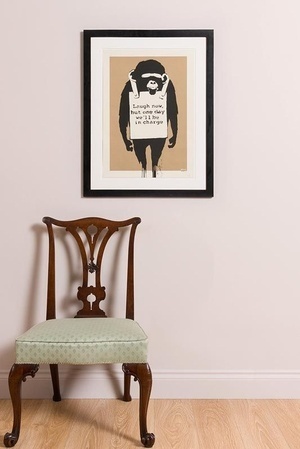 Posted in Misc and tagged banksy, How Much? at 11:33 am on November 8, 2018 by Bodger. 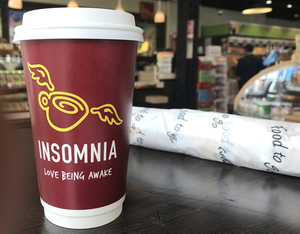 The Celtic Tiger seems to be alive and well at the Insomnia Bar in Spar at the corner of Georges Street and Dame Street [Dublin 2], where a large regular tea (one tea bag) yesterday cost €2.40. 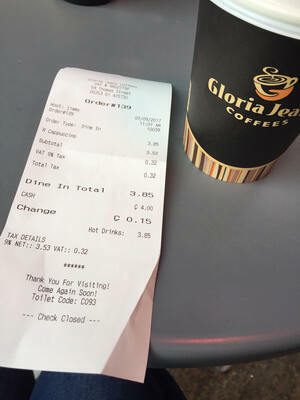 A ‘Large Tea’ set me back €2.70 in roscommmon town the other day! Posted in Misc and tagged How Much? at 12:19 pm on August 16, 2018 by Bodger. The first (?) 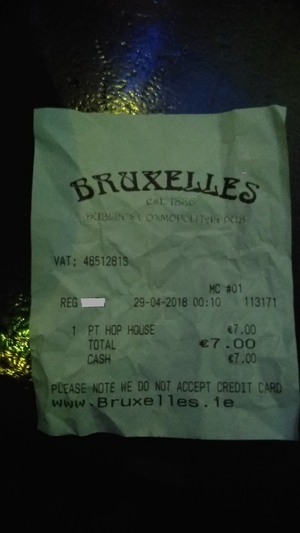 seven euro pint brazenly served at Bruxelles, Harry Street, Dublin 2 on Saturday night/Sunday morning. Posted in Misc and tagged How Much? at 7:53 pm on April 30, 2018 by Bodger. 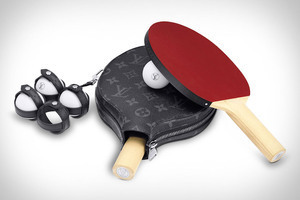 The Louis Vuitton Ping Ping Set. Posted in Design and tagged How Much?, table tennis at 3:57 pm on December 19, 2017 by Chompsky. 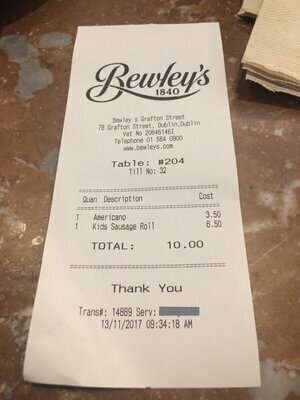 Posted in Misc and tagged Bewley's, How Much? at 9:12 am on November 14, 2017 by Aaron McAllorum. 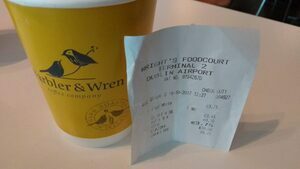 Prices have bean taking-off latte-ly at at at Dublin Airport café where a takeaway coffee is €3.75, incl that sweet 9% VAT rate! 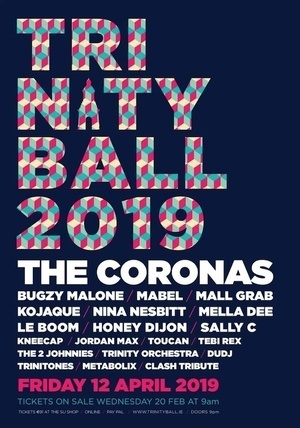 Posted in Misc and tagged Dublin Airport, How Much? at 9:37 am on October 20, 2017 by Broadsheet. Posted in Misc and tagged coffee, How Much? at 11:41 am on September 7, 2017 by Broadsheet. 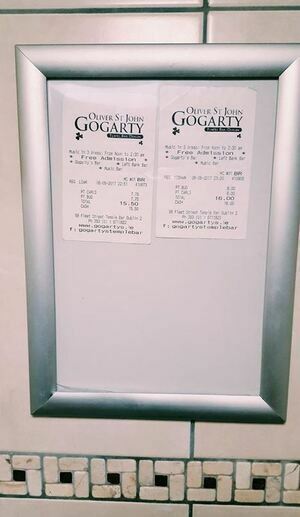 Was in a pub in Kilcolgan [County Galway] this morning and there were a couple of receipts from a pub in Temple Bar for 8 quid pints framed above the urinal. Posted in Misc and tagged How Much? at 5:12 pm on August 14, 2017 by Broadsheet. In a supermarket in L’Estartit, Catalonia, this morning. 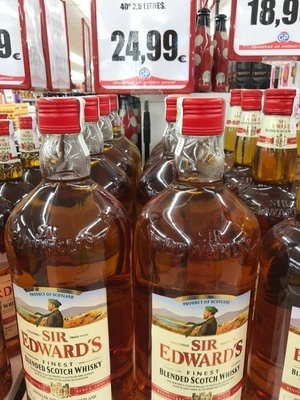 2.5 litres of “finest Scotch”. I’d say paint stripper is probably dearer. Posted in Misc and tagged How Much?, Scotch at 2:38 pm on June 30, 2017 by Broadsheet.